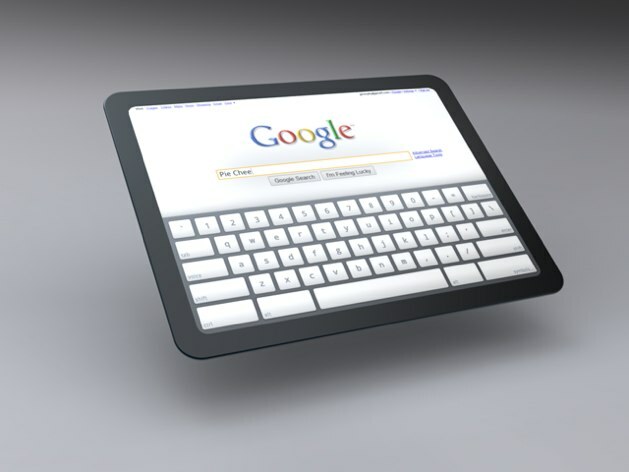 Google Working on Tablet PC? According to TechCrunch reports, it seems that some concept shots were posted to Google’s Chromium page, detailing a little of what we might expect to see from a Google tablet if and when the company decides to roll one out. While there have been plenty of people quick to point out that Google doesn’t actually own Chromium (since it’s all open sourced) it’s worth noting that the concept art was posted by Google’s Chrome designer, Glen Murphy. It’s certainly an interesting prospect, and given Google’s willingness to hop into bed with HTC for projects like its Nexus One smartphone, we’d not be too surprised to hear that the search giant is already in cahoots with another hardware manufacturer to sort out a tablet device of its own. Still, this isn’t likely to be well received at all by the folks at Apple who, given the extent of Steve Jobs’ anti-Google sentiment at recent meetings, may already have had the feeling that Google was treading on its toes a little with its smartphone launches. Indeed, given how soon this news leaked after the news of Apple’s iPad release, it’s hard to see it in any other light. This entry was posted on February 2, 2010 at 12:03 pm and is filed under Uncategorized. You can follow any responses to this entry through the RSS 2.0 feed. You can leave a response, or trackback from your own site. I would say I’m surprised, but I’m not. And I had a conversation (yes, in a pub…) with some other tech-heads a few weeks ago where everyone agree’d that Google has it’s fingers in far, far too many pies. Now they distribute their good coding practise and design philosophy across so many products that it gets diluted and rather then being ingenious in its execution and beautifully simple in design, it all becomes fairly average. Just look at Wave. If they focused a bit more on that the system wouldn’t be slow, ugly and confusing to new users. I’m certainly feeling the confusion, but I love Android… hopefully it holds together a bit. I’ve used Android and think it’s pretty nice… but nowhere near as polished as iPhone OS. I also think Apple are likely to blow Android and the handsets it runs on out of the water come summer. Having said that, healthy competition is good.